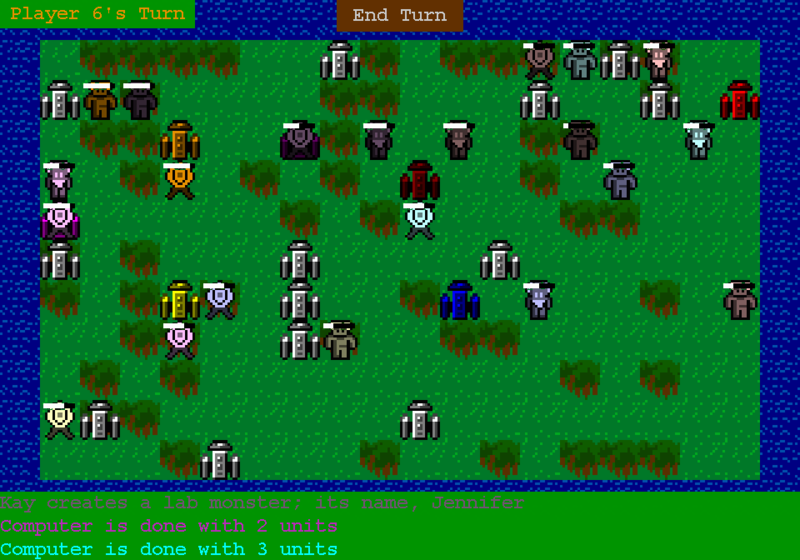 Lab Wars is a turn-based strategy game where the goal is to out-survive your opponents. A player is out of the game if all their units die. Whoever is the last player standing wins. 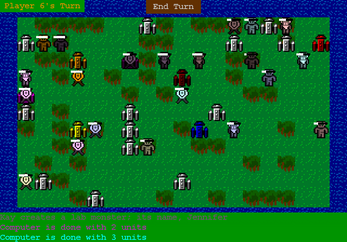 The game can be played with up to 8 players, either human or computer controlled. Be sure to read the included "README.txt" and "manual.pdf" to get the most out of this game. NOTE: Lab Wars should work with 32-bit (x86) Python, but is known not to work on several machines for unknown reasons. Hope you can get it working! I'm hoping to put together executable versions for all platforms in the future.